Wales launches Brass Band Forum forum! The new Welsh National brass band body has launched its interactive on-line consultation forum. So get those opinions aired! 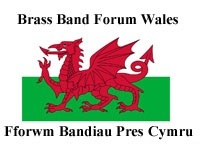 The new national body representing Welsh banding — Brass Band Forum Wales, (Fforwm Bandiau Press Cymru) has launched its on-line consultation website: www.brassbandforumwales.wordpress.com. The site provides an opportunity for interested people to share their thoughts on the future development of banding in Wales and contains a news section, which the Forum hopes will act as a means of sharing views and opinions, news stories and ideas that can be discussed and practically developed for the future benefit of Welsh banding. Forum Chairman Iestyn Davies told 4BR: "We’ve chosen to use a basic and freely available web based application to construct an on-line presence for the Forum. It’s a simple ‘blog’ based site that allows users to comment on the three work streams we are keen to address. We want to know how ordinary players and supporters feel about how we can increase the number of players and grow audiences for banding." The Forum, which was set up in October 2011, has already announced the date of a high profile political reception hosted by the Presiding Officer of the National Assembly for Wales, in February 2012. Iestyn continued: "We are confident that we can put banding on the agenda of the politicians and policy makers, so that it takes its place in their considerations for future funding priorities. We now need to put our own house in order and begin to get players, bands and associations to take responsibility for our art form." Since its inception the Forum has received feedback from many individuals in Wales, with topical concerns aired such as the need to encourage bands from across all grades to return to local contesting and the disparity between local and national gradings. Iestyn concluded: "The online presence for the Forum allows anyone who wants to contribute constructive thoughts and ideas to our work to do just that. It’s freely available via the web, all serious contributions will be considered by the Forum itself, and we hope that the input we have already received and the feedback we’ve given to associations and others will begin to make a positive difference on the ground." The Forum also has a Twitter feed @BBForumWales and a Facebook Group which link all information on its current and future plans.